“Robert Lanza, a world-renowned scientist who has spanned many fields from drug delivery to stem cells to preventing animal extinction, and clearly one of the most brilliant minds of our times, has done it again. ‘A New Theory of the Universe’ takes into account all the knowledge we have gained over the last few centuries … placing in perspective our biologic limitations that have impeded our understanding of greater truths surrounding our existence and the universe around us. This new theory is certain to revolutionize our concepts of the laws of nature for centuries to come.” —Anthony Atala, internationally recognized scientist and director of the Wake Forest Institute for Regenerative Medicine at the Wake Forest University School of Medicine. “An extraordinary mind . . . Having interviewed some of the most brilliant minds in the scientific world, I found Dr. Robert Lanza’s insights into the nature of consciousness original and exciting. His theory of biocentrism is consistent with the most ancient traditions of the world which say that consciousness conceives, governs, and becomes a physical world. It is the ground of our Being in which both subjective and objective reality come into existence.” —Deepak Chopra, Bestselling Author (heralded by Time magazine as one of the top heroes and icons of the century). “As an astrophysicist, I focus my attention on objects that are very large and very far away, ignoring the whole issue of consciousness as a critical part of the Universe. Reading Robert Lanza’s work is a wake-up call to all of us that even on the grandest scale we still depend on our minds to experience reality. 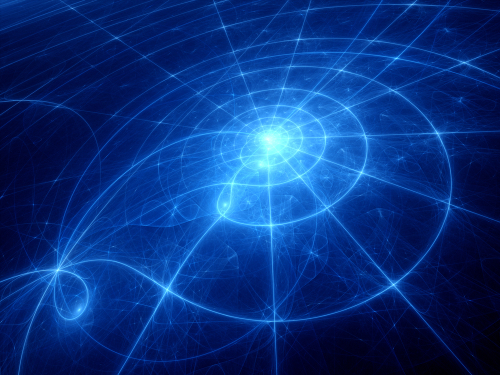 Issues of “quantum weirdness” do have a place in the macroscopic world. Time and space do depend on perception. We can go about our daily lives and continue to study the physical Universe as if it exists as an objective reality (because the probabilities allow that degree of confidence), but we do so with a better awareness of an underlying biological component, thanks to Dr. Lanza.” —David Thompson, Astrophysicist, NASA’s Goddard Space Flight Center. 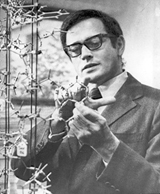 “The heart of [biocentrism], collectively, is correct. On page 15 they say “the animal observer creates reality and not the other way around.” That is the essence of the entire book, and that is factually correct. It is an elementary conclusion from quantum mechanics. So what Lanza says in this book is not new. Then why does Robert have to say it at all? It is because we, the physicists, do NOT say it–or if we do say it, we only whisper it, and in private–furiously blushing as we mouth the words. True, yes; politically correct, hell no! Bless Robert Lanza for creating this book, and bless Bob Berman for not dissuading friend Robert from going ahead with it. Not that I think Robert Lanza could be dissuaded–this dude doesn’t dissuade! Lanza’s remarkable personal story is woven into the book, and is uplifting. You should enjoy this book, and it should help you on your personal journey to understanding. There are periods when I read from this book every morning, in the same way that I read Song dynasty Ch’an masters like Ta-Hui or Yuan-wu. I read for inspiration and for a much-needed infusion of wonder, in an effort to counterbalance the jaundiced view of life I have just reinforced by scanning the New York Times. Probably the most remarkable thing for me about this book is that it sounds so much like Nyogen Roshi, the Zen teacher I have been listening to for some 13 years now. This teacher, who has read the book and who has no background in science, has said that the author’s words mirror his own experiences in the practice of zazen as closely as anything he has encountered in a modern writer. This premise is fleshed out in a number of fascinating ways in the book’s almost 200 pages. The main author, Robert Lanza, works in the field of stem-cell research, but he takes on the same basic issues that have preoccupied the great theoretical physicists of our time. He approaches the subject from a fundamentally different angle – that of consciousness – and does it in a way that is accessible and relevant to people untrained in science. This insight, no matter how conceptual or superficial, can also serve as the starting point for personal responsibility. If I can be aware that my universe is the only one there is, then maybe I can treat it with more care. And that could potentially make your universe a little better. It is astounding — not to mention humbling — that I appear to be doomed to forget this fact almost every moment of my waking life. Fortunately, I do have the ability to remind myself, and to the degree that I am able to do that (which increases with my own sense of urgency to do so), I get to experience life in a more open, sane and engaging way. In-between these tiny moments of awareness, I have people like Ta-Hui, Yuan-Wu and Dr. Robert Lanza to remind me. 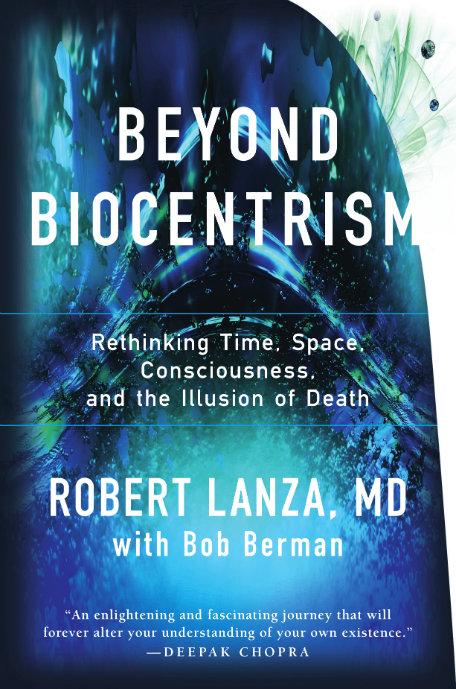 My special guest is Dr. Robert Lanza and his extraordinary mind, I just finished reading his book Biocentrism and I said to myself, “Finally, aha, somebody that I can totally relate to.” The book is Biocentrism it’s in the bookstores and online bookstores. I actually have it on my Kindle because I read it over and over again. Let me just tell you who Dr. Lanza is if you haven’t heard about him and you should have. Dr. Lanza is considered one of the leading scientists in the world, he’s currently chief scientific officer at Advanced Cell Technology and adjunct professor at Wake Forest University School of Medicine. He has hundreds of publications and inventions and over 20 scientific books. Among them Principles of Tissue Engineering which is recognized as the definite reference in the field. I could go on for a long time giving his credentials. I had on my show Dr. Michio Kaku who is the person that first described string theory and he’s written a new book called Physics of the Impossible which the Science Channel is going to do a twelve part series on and you know he was basically saying based on what we understand in biophysics and I’m going to come to your take on this later because I agree more with you [Robert Lanza] than with anyone else that I have ever met… what you’re saying right now in your book Biocentrism is that the physical universe would not exist unless there was a consciousness in which it could be conceived, constructed, and came into existence…. you know what you say is just totally music to my ears. Robert Lanza’s concept of Biocentrism is as profound as Copernicus’ heliocentric model was in the 1400s. Lanza postulates that it is life that creates the universe instead of the other way around. 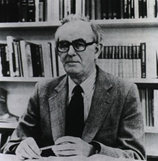 He asserts that current theories of the physical world do not work, and can never be made to work, unless you include consciousness (the observer) in the equation. He admits that his theory doesn’t provide all the answers but should serve as a launching pad for future research to explain the inner workings of universe. This topic though difficult for most to comprehend if you are new to this subject is very well written. Lanza’s concept of Biocentrism compared to other theories comes closest to what spiritual masters already know. This is a much better book compared to Stephen Hawking’s ‘The Grand Design’ which I have to admit I didn’t finish due to its extremely dry writing. In this book, Lanza deals with some of the ideas presented by Samuel Avery in Transcendence of the Western Mind. His central thesis is “life creates the universe instead of the other way around.” And, while he doesn’t use the word what his thesis supports is solipsism. What makes this book both interesting and worth the effort of reading it; is the unique perspective Lanza brings to the subject matter as a physician. Physicians are, by definition, intellectual chimeras because the discipline of medicine is an amalgam of hard science, healing, philosophy, metaphysics and ethics. Each physician must decide what to take and use from that intellectual palette and the decisions they make, in that regard, to a large extent define who they are, how they practice and what kind(s) of relationships they cultivate with patients and colleagues. I know this because I worked with physicians for most of my adult life in hospitals. From the way he chooses to present his arguments, it’s clear he has a solid grasp of esoteric disciplines like quantum theory, special relativity and particle physics. And what makes his presentation more compelling than other efforts I’ve encountered is his ability and willingness to weave personal experience into the thoughts and ideas presented. His style is conversational and warm which tends to pull you along through the exposition gently. And his sense of wonder and befuddlement at shop worn enigmas like the double slit experiment, Bell’s theorem, non-locality and Schrödinger’s cat is as infectious as it is delightful….I very much like what Lanza has to say in Biocentrism. One of the finest & best current books I have read on the subject of human “consciousness.” Lanza is a genius of first magnitude. The only tools you will need to appreciate this book as a reader is an open mind, average intelligence and the ability to “think for yourself.” When they write the list of this Century’s most important books, you can bet the farm this title will be near the top. Review of Biocentrism in the Huffington Post by Rea Nolan Martin, award-winning author and recipient of the 2014 Gold Medallion and US BEST BOOK Award for Visionary Fiction; the 2014 PINNACLE Gold Medallion in the category of Literary Fiction; and Finalist in the 2015 International Book Awards. This weekend I read a book called BIOCENTRISM, by Dr. Robert Lanza with Bob Berman. It’s a powerful book that argues its unique scientific viewpoint convincingly… One line (among many) in this book took my breath away. “If one could travel at lightspeed,” it says, “one would find oneself everywhere in the universe at once.” Sound familiar? Omnipresence at the speed of light. This is a convergence of religion and science if ever there was one. Biocentrism is the first scientific model to consider consciousness as the source of life and not the reverse. In other words, the world is perfect for us not by some random spin of the universal roulette wheel, but because it was created by our collective awareness in the first place. Consciousness came first. Spiritual minds will further interpret that to mean God’s consciousness came first, followed by ours, his creatures. Although to be clear, that’s an interpretation, not the science. But it’s not far afield. The idea that we create our individual and collective realities is not a new idea in mystical circles. As a scientific model, however, it is very new. Biocentrism is a stunning worldview to arrive at a time that demands greater personal and collective accountability and empowerment from all of us.